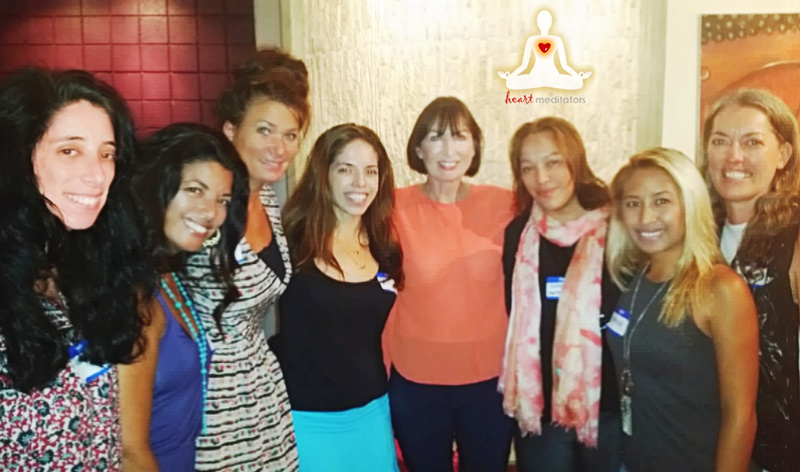 Heart Meditators | Love is the Heart of Consciousness. Love is the Heart of Consciousness. LOVE is the Heart of Consciousness. Be/Give/Choose Love. With Love streaming from our Hearts, we can affect Earth changes and events worldwide. “The throne of the mind is seated in the HEART.” Heart meditators are an inclusive uniting force of Love and Light. We can “be the change [we] wish to see in the world” and assist in this global shift or awakening of consciousness. Whilst we are a non-denominational group (i.e. not associated with any religion), we are religion-friendly. Pictured with speaker Judy Satori at her session in West Los Angeles at the Gateway Portal re: A NEW BEGINNING FOR HUMANITY (re: Nine years of transition starting 2015 into the 5th dimensional Earth). September 16, 2014 with with Jasmine Stodel, Angie Correa, Kristin Kilmer, Rocio Villalobos, Judy Satori, Itsa Lovely Daye (Mae McCaw), Hannah Calimpusan and Alisa Loftin. Currently, Los Angeles, CA and other volatile seismic zones need the loving energy of high frequency heart meditators to ease the magma activity along the Pacific tectonic plate that can trigger the San Andreas fault line and others. Science is showing much activity. Even a small number of us vibrating at high frequencies can change this in meditation. One need not be physically located in L.A. to participate. The Heart Meditators Facebook Group was recently established on November 14, 2012. We have a growing membership of over 375 meditators. Special thanks to each meditator on this collective journey. HeartMeditators.com serves individuals to maximize their meditation experience. Discerning Light Beings from Dark Reptilian Energies and Beings Posing as Light. Protected: You have arrived. Welcome. Visualizing & Meditating on Healthy Heirloom Organic Foods for EVERYONE. Meditation: Triggering an Awakening, Remembering Past Lives, Activating the Heart, Pineal Gland, Sacred Geometric Codes, Chakras and Super Powers. HeartMeditators.com has a FB group. Fill out the CONTACT FORM by telling us about yourself and why you wish to join. Include your FB name and email in your request for an invitation to join our group. Thanks. For post alerts, add us on Twitter. HeartMeditators.com is a sister site of Church of the Cosmos: Temple of Light.